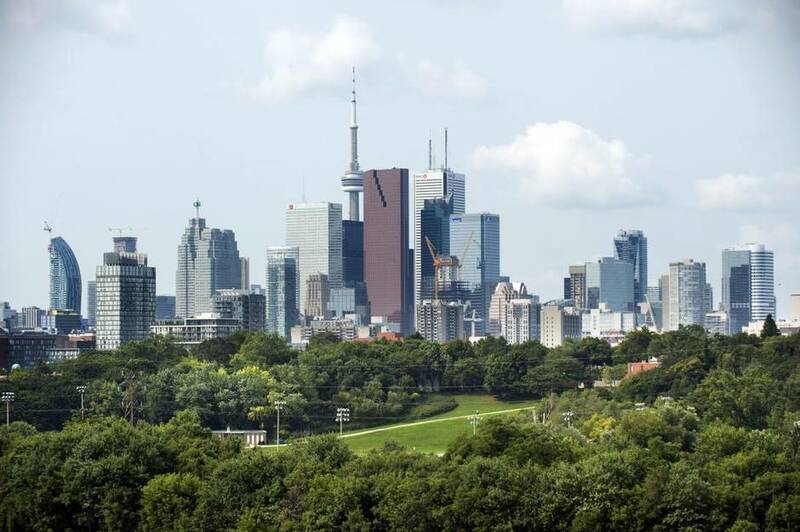 Forests and parklands have a monetary value and deliver a quantifiable service, according to a report titled “State of the Urban Forest in the Greater Toronto Area,” which was released in June by the Green Infrastructure Ontario Coalition. For example, the region’s urban forests store 2.7 million tonnes of carbon worth $70-million, remove $36.5-million worth of air pollution annually and provide energy-saving benefits worth $20-million. The coalition — which was formed in 2009 and is made up of industry, non-government organizations and municipal groups promoting the adoption and implementation of green infrastructure — compiled the figures from forest studies in the 14 municipalities that make up the GTA. It is part of a growing movement for cities to monitor, manage, conserve and improve their trees and green spaces. She says that aside from the tangible services that nature provides, such as filtering pollutants and reducing erosion, it offers recreational space and mental health benefits. “Even a single tree can provide a lot of services that people don’t think about,” Sawka says, noting that green infrastructure helps communities adapt to and mitigate the effects of climate change. Forests and parklands play “a critical role in the design of urban regions,” says Liat Margolis, an associate professor of Landscape Architecture at the University of Toronto and director of the Green Roof Innovation Testing Laboratory (GRIT Lab), which is dedicated to evaluating and optimizing the environmental performance of green building technologies. Cities are “exploding with population,” with a resulting loss in the extent of vegetated areas as well as the biodiversity of ecological systems, Prof. Margolis notes. At the same time, climate change and extreme weather events make them ever more critical. “Climate change is contributing to the loss of vegetation and wildlife and the benefits they provide, which are vital to everything from attenuating floods to pollinating food crops,” she says. 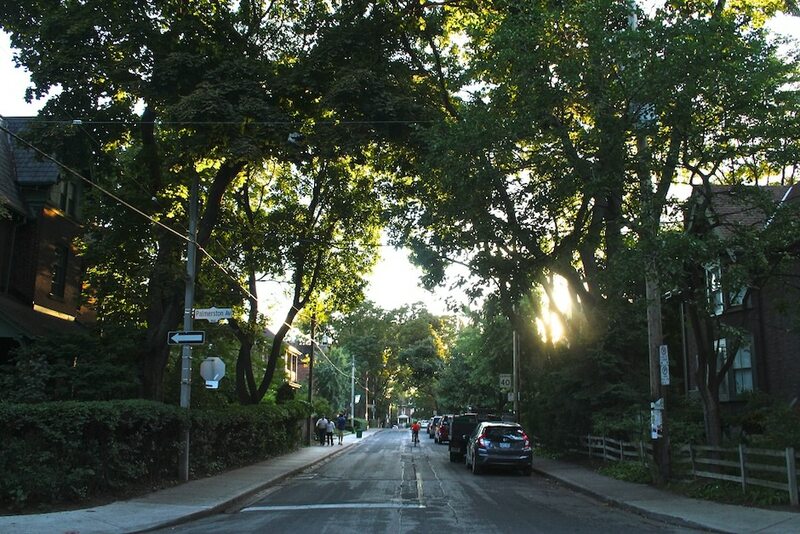 According to Prof. Margolis, who is also a member of Sustainable Canada Dialogues — a group of some 60 Canadian scholars working to advance solutions for climate change mitigation — one of the keys to building sustainable cities is to consider the environmental, economical and societal value of green spaces such as Toronto’s ravines. Testing, validating and optimizing engineered natural systems to work to their fullest capacity is behind modern-day initiatives, such as the GRIT Lab, which measures green roof performance like the thermal cooling of roof surfaces to mitigate urban heat island effect, stormwater capture to reduce flooding, and plant biodiversity, especially to promote pollinators. “The devil is in the details,” says Prof. Margolis, noting, for instance, that green roofs constructed with compost-based growing media outdo the mineral-based ones in terms of stormwater capture, thermal cooling and biodiversity. And yet, green roofs are commonly constructed with the mineral-based media. In fact, the Toronto green roof bylaw, which requires green roofs on all new buildings that are more than 2,000 square meters in gross floor area, recommends the use of the mineral media. “Given our new findings, the green roof construction guidelines may need to be revisited,” Prof. Margolis notes. Gathering scientific evidence and making “a business case” for nature will correct the historic underinvestment in green spaces, says Michelle Molnar, an environmental economist and policy analyst at the David Suzuki Foundation, which has expanded its advocacy work from remote wilderness areas to include urban ecology. The foundation’s Municipal Natural Capital Initiative — a pilot project in a handful of communities across Canada, whose mandate is to integrate green infrastructure into the asset management and financial planning of municipalities — establishes the state, age and condition of infrastructure. The goal is to produce a model to help communities manage and support their natural spaces, which, Molnar explains, provide the same services as “engineered” or “grey” infrastructure but involve lower capital and operating costs, as well as other advantages. Trees must be managed as an asset, Sawka points out. 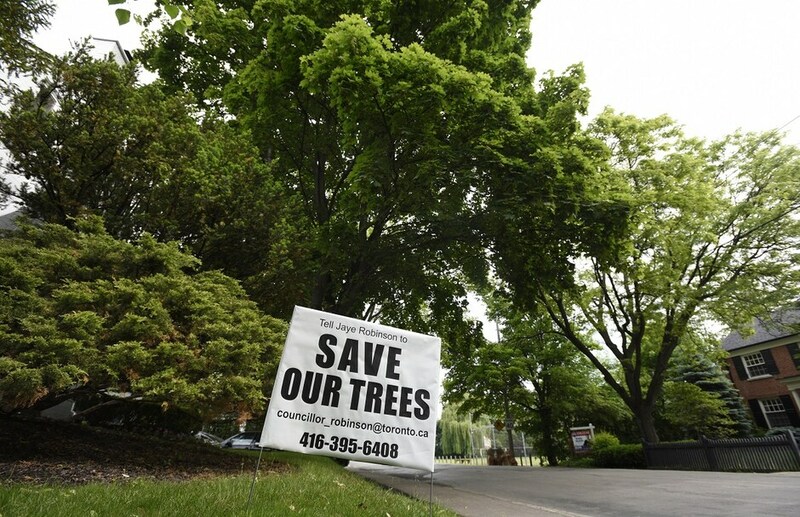 For example, her coalition’s “State of the Urban Forest” report notes that just four species make up 54 per cent of the city’s population of trees, which is a cause for concern when threats such as the emerald ash borer can wipe out a whole species. The GTA’s trees are also relatively small, she says. Ideally, 30 per cent of the trees in a canopy should be more than 38 centimetres in diameter, but just 5 per cent of those in the region top this size. That speaks to the need for their maintenance, care and protection — for example, improving the quality and quantity of the soil in which they grow. Still, Prof. Margolis is encouraged by the ongoing effort to recognize such issues and address them — both at the local, as well as the provincial and federal levels — with a goal of integrating green-infrastructure language into master plans and investing in its construction and preservation.